We converted a winery, built in 1867, into a progressive Craftsman home of 7,800 SF. 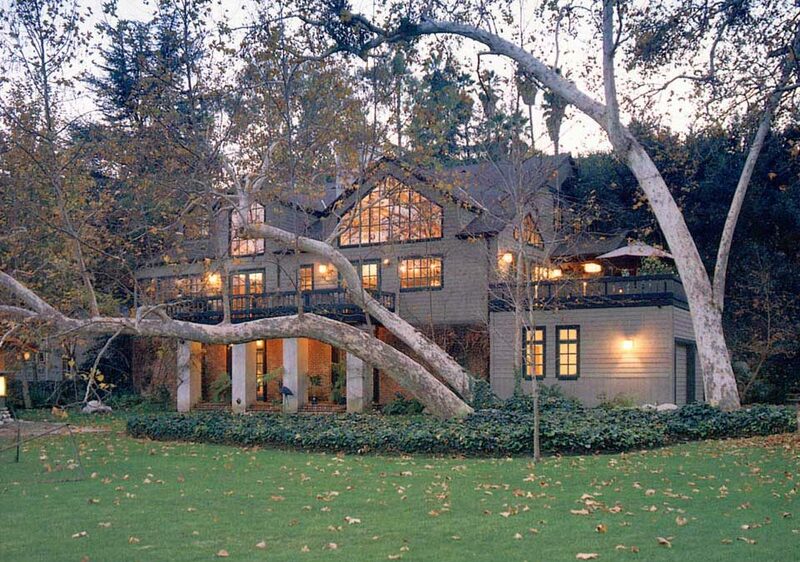 The house sits on the edge of a 2-acre natural spring fed lake in the Arroyo Seco. This project was not a historical restoration because it had been brutally modified numerous times over the years. An old photo gave clues to its original shape in expanding and restoring the building.